A rousing call to arms, packed with surprising insights, that explores how carrying "the mental load"—the thankless day-to-day anticipating of needs and solving of problems large and small—is adversely affecting women's lives and feeding gender inequality, and shows the way forward for better balancing our lives. Launching a heated national conversation with her viral article "Women Aren't Nags; We're Just Fed Up"—viewed over two billion times—journalist Gemma Hartley gave voice to the frustration and anger of countless women putting in the hidden, underappreciated, and absolutely draining mental work that consists of keeping everyone in their lives comfortable and happy. Bringing long overdue awareness to the daunting reality of emotional labor in our lives, Hartley defines the largely invisible but demanding, time-consuming, and exhausting "worry work" that falls disproportionately and unfairly on all women—no matter their economic class or level of education. Synthesizing a wide variety of sources—history, sociology, economics, psychology, philosophy, and anthropology—Hartley makes the invisible visible, unveiling the surprising shapes emotional labor takes at work, at home, in relationships, and in parenting. With on-the-ground reporting, identifiable personal stories and interviews from around the world, this feminist manifesto will empower women to transform their inner dialogue and give all women the emotional fortitude and courage to ask for what we most want—without shame, without guilt, and without the emotional baggage. 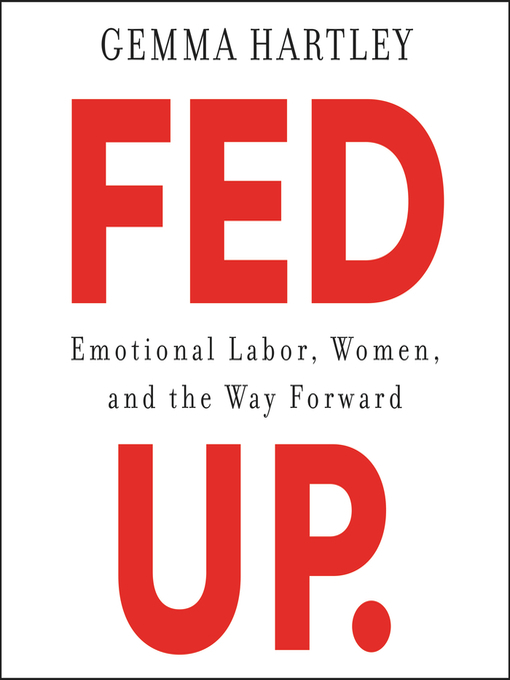 Beyond naming the problem, Fed Up offers practical advice and solutions for teaching both men and women how to wield emotional labor to live more full and satisfying lives. Hartley helps us to see emotional labor not as a problem to be overcome, but as a genderless virtue we can all learn to channel in our quest to make a better, more egalitarian world for ourselves and most importantly, our children. Insightful, surprising, deeply relatable, and filled with all too familiar moments, this provocative, intelligent, and empathetic guide is essential reading for every woman who has had enough with feeling fed up.